Keeping your filaments dry and in tip top shape, ready for your next print. You will earn 77 loyalty points with this purchase worth £0.77 that you can use on this order. 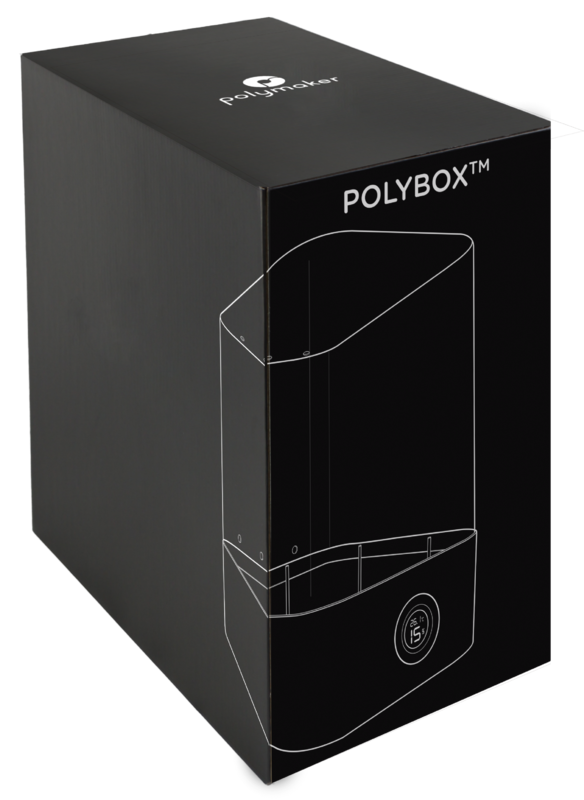 PolyBox™ Edition 2 is the filament storage box that allows you to store and print your materials in their optimum printing environment. 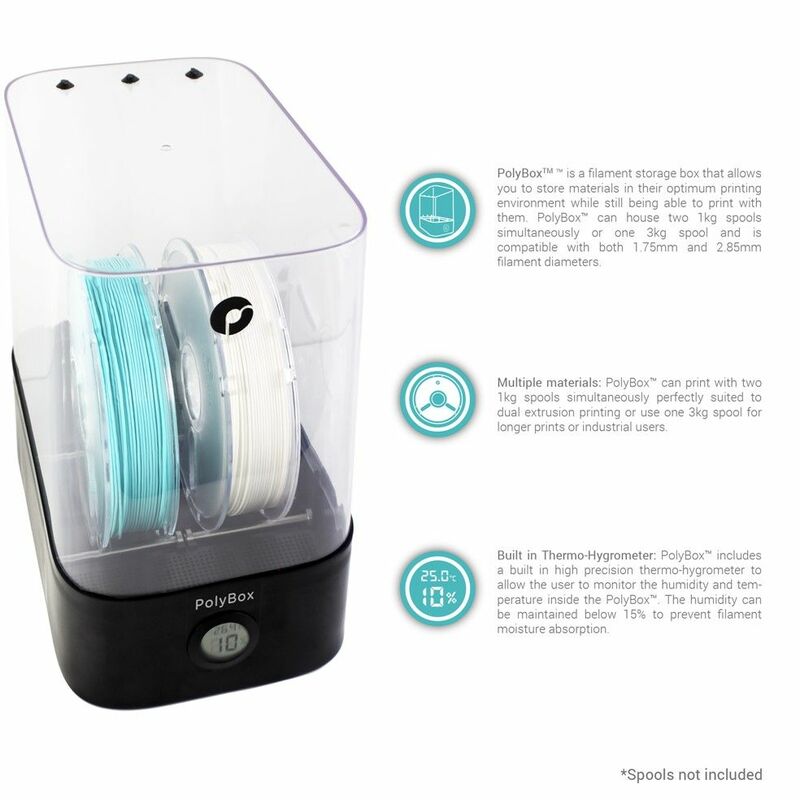 PolyBox™ Edition 2 includes a built-in high-precision hygrometer and silica gel desiccant sachets to control and absorb moisture from the air. The humidity within the box is maintained below 15% to prevent the filament from absorbing moisture during the storage and even during the 3d printing process. It is specifically designed for Nylon, PVA, PolySmooth™ and other highly hygroscopic 3D printing materials. 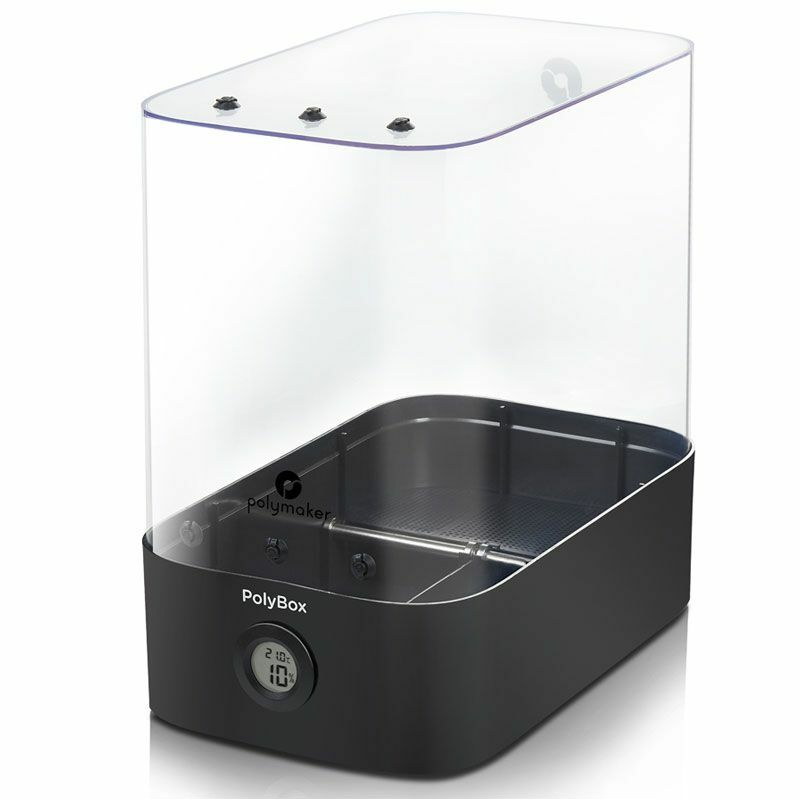 However, its good practise to keep all 3D printing filaments inside the PolyBox™ to preserve the optimum printing quality. 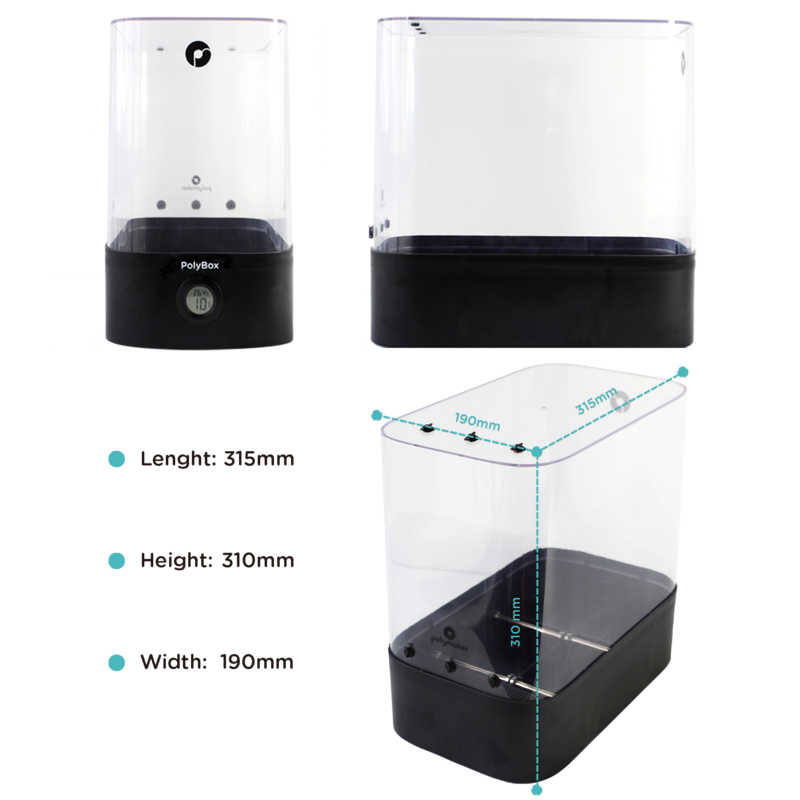 Please note; The large 3Kg spools available by Poylmaker fit neatly into the PolyBox™, the 2.3kg spools currently supplied by FilaPrint DO NOT! The price above includes UK Mail Next day delivery within the UK (Mon-Fri, ex Bank Holidays and weekends).